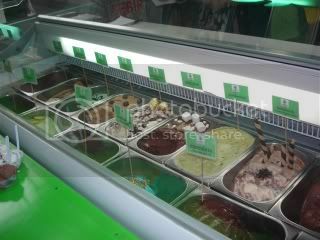 Experiencing a premium italian gelato at MOA is a refreshing feeling. It's not the usual ice cream. 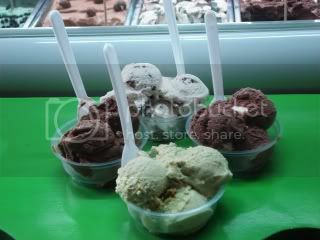 I tried the rocky road flavor, i ordered my lola the sugar free chocolate gelato because she's a diabetic, for my tita, she chose the pistacchio flavor and kuya tried the ferrero rocher gelato. 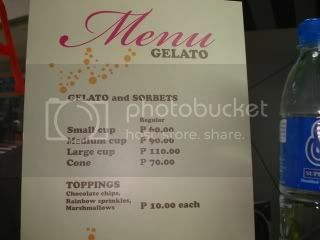 We just ordered the small cup which cost P 60.00 each. 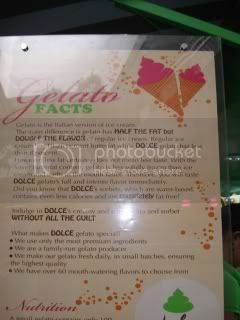 * Parang mas masarap for me ang Fiorgelato... IMHO...Peace! 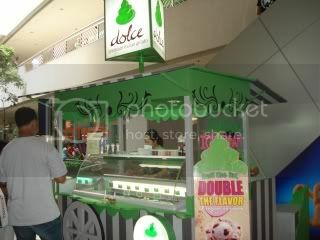 Thank you for visiting Dolce Gelato.